This unbiased account of Mrs. Eddy allows her life and work to speak for themselves. Mr. Kennedy relates many small but relevant details in her life that knit together the chain of events that led to her discovery of Christian Science and the founding of her Cause, and he does this with an insight found in few biographies about her. 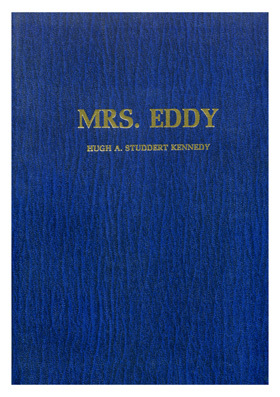 Underlying this absorbing book is the author’s love and respect for Mrs. Eddy, and his awareness of her vision and mission. He writes: “To me Mrs. Eddy is nowhere more vivid in her claim to what men call grandeur than in just this, the way she rode the storm.